At Highlees, presentation is important to us. Being able to write quickly, comfortably and legibly, so that we can communicate our amazing learning, is a key part of getting ready for life beyond school. Years 2 to 6 are taught and expected to write using cursive handwriting. Year 1 are taught to write in a pre-cursive style as a starting point. To ensure that every child and every teacher is pushing for the same high expectations, we use cursive handwriting consistently across school. Guidance documents for pre-cursive and cursive writing can be found below. To further enhance our focus on handwriting we hold a “Captain Writewell” handwriting competition each term. 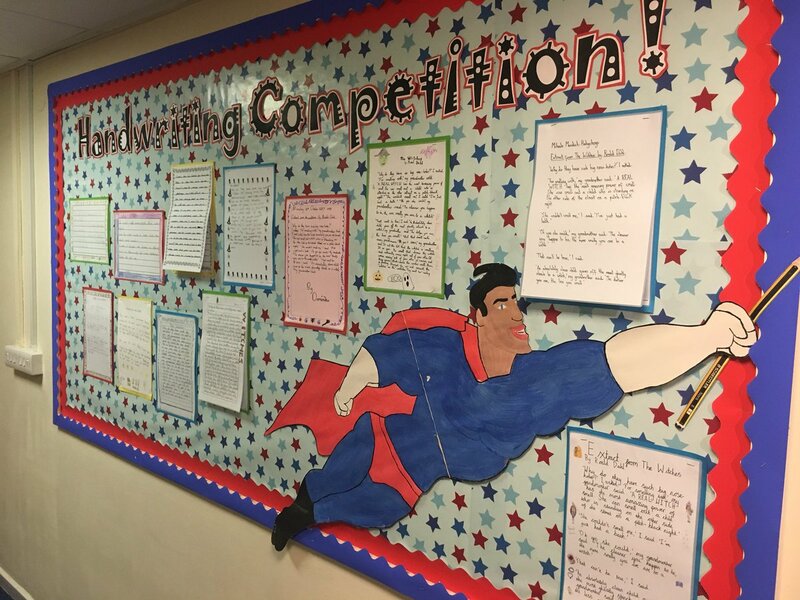 The winners’ writing is proudly displayed in school. If you have any further questions about handwriting, please speak to your child’s class teacher or ask to see Mrs Trace, Literacy Subject Leader.